From my presentation on Military Information Operations (#IOinAction) to The Kokoda Foundation for their inaugural #KokodaNext series -in Canberra, Australia. I’m here today to talk about an aspect of social media that is flying under Australia’s radar. A “war of words” if you will – where tweets are launched instead of rockets – and blogs bomb the social sphere. Propaganda; the art of persuasion and influence is nothing new. And at the core of social media based propaganda is psychological warfare or PSYWAR. Israel dropped letter bombs over the Gaza Strip. And the US Marines dropped leaflets into Afghanistan to combat Taliban insurgency. What IS NEW is the way Social Media is redefining PYSWAR. Warfare is no longer confined to the traditional battlefield. In fact, it’s crossed into civilian cyberspace. In late we saw 2012 PSYWAR evolved. Tweets and blogs are the new letter bombs in modern warfare. In looking at the Israeli-Palestinian conflict on Twitter we can see the evolution of propaganda to overtly exploit the pervasive nature of social media. Counter Public Relations attacks via self generated content and social tagging; attempt to dominate and influence the online conversation. promotes a professional and cohesive military. Conversely the Hamas engage their audience via a well established fundamentalist branding strategy; where themes of jihad and martyrdom are prevalent. The use of social media in the gathering of intelligence is now accepted as common place. Citizen journalism provides real time reporting on the effectiveness of air strikes and ground attacks providing the military with an opportunity to disseminate misinformation as a strategic weapon. What we have seen evolve in social propaganda is the real time engagement of online hostilities in the public domain. The use of imagery to ‘humanise’ one side of a conflict is an old school propaganda technique. It now has a very modern, global PR focus. Conversely the use of confronting imagery by the Hamas, and I might add that this is one of the few G-Rated images that can be found on Twitter is a counter-military public relations attack. The ability to self generate news in real time has immediate on and offline impacts on the traditional news-media cycle. It takes the PSYWAR battle into the home and workplaces of people around the world. It makes the social media community armchair spectators – and often commentators – in a very regionalised conflict. Recruitment is another key element of social propaganda. Inter-dispersed within the IDF official channels are messages aimed to appeal to the Israeli Diaspora: who are actively encouraged to go to Israel to perform national service. Is the use of PSYWAR via social media effective? Yes … and No, in the case of the Israeli-Palestinian conflict. I don’t think anyone believes that Twitter will bring peace to a conflict of epic ideological and historical proportions. With immediate effect and a global audience reach into the millions, it’s money can’t buy publicity. This is a military public affairs PSYWAR masterstroke. Cyber warfare is much discussed; while Social warfare flies under the radar. 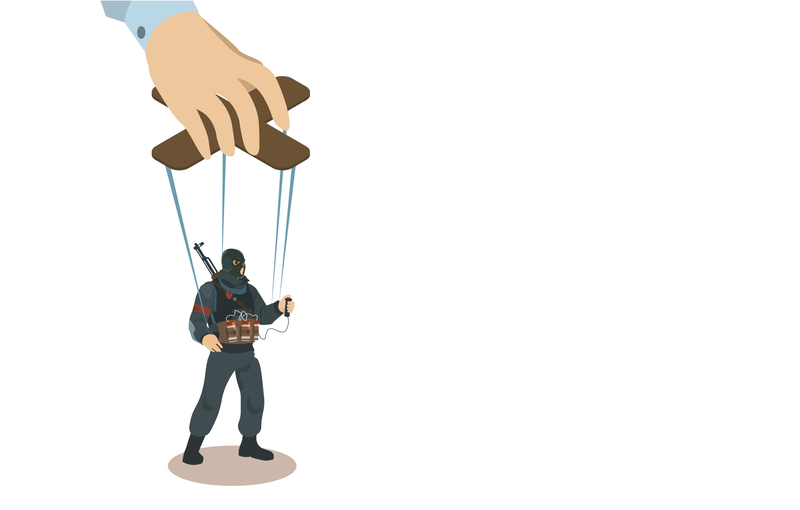 In redefining PSYWAR the IDF have harnessed one of the last frontiers of social media; and in doing so – they have redefined the use of propaganda in modern warfare. The challenge for Australia is to bring this new aspect of warfare into our modern battlespace. It’s no longer enough to shoot media releases into the breeze; achieving militarized full spectrum dominance is essential – and to do this Australia needs to have a global CYBER and SOCIAL approach to military public affairs. After all – your enemy may not be the target of your propaganda at all.